Welcome back Alex. Your break has obviously been productive, but I hope it has been fun too. Looking forward to floods more stories to read for WEP with the ISWG inclusion. Wow, you've had a productive break! Congrats on the 13K words--that's awesome! And ooh, love the theme for the IWSG anthology. I'd have a lot of fun with that, if I wrote something other than comics, LOL. Looking forward to seeing what stories end up winning! Congratulations on the productivity! I'm looking forward to Meg. Congrats on your 13,000 words!!! Exciting! Congrats on the words written, Alex. I'm not a particularly fast writer I must admit but I try to keep going. Interesting theme for the new anthology. I write quite fast when I'm actually writing, but I have big gaps when I do very little ... hmm, think I've just spotted one of my pitfalls! Hi Alex. A book a year seems like a dream to me. If I can write even one in two years I'll be happy! Unable to leave the link to this month's blog post in this form though. Thirteen thousand words on your next book while on vacation! That's awesome. Congratulations also on the new partnership. It brings about a change, and it will be interesting to see where it leads. I am really seriously thinking about entering the next challenge for the next anthology. However, I need to get over the fear of writing outside of my genre. I have seen the Piranha series and all the Sharknado sequels. Now I am ready for The Meg. Slender Man immediately brings to mind the 2014 case of two young girls who lured their friend into the woods, stabbed her 19 times and left her for dead to please Slender Man. I fear the new film might inspire similar crimes. Glad you got so much writing done! I'm a very slow writer. I would love to publish a book a year. I would love to just publish *A* book, actually. WEP entry is done. Great you got a bunch done indeed. I'm always 5 novels ahead. I don't release one until I have 5 done lol Get ahead and things are a breeze, more or less. I had a great July in some ways while very frustrating in others, but that's often the case for many of us I suppose. Another anthology already? I've never dabbled in the Young Adult Romance writing genre although I worked in the "Masquerade Industry" for many years. I've also known a lot of people who have been pretentious or false. Maybe a story will pop into my head. I've never been a Pooh fan, however the trailer for Christopher Robin has caught my eye. Maybe I'll see it when it comes to DVD. Thanks as always for hosting this awesome hop. I'm with you. I write slow too, but I think that's just how I roll. While YA may be a challenge, I'm so excited about this anthologies theme. 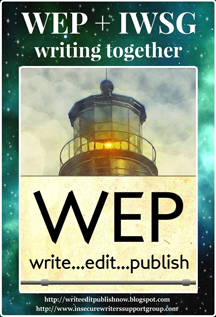 Happy to hear about the WEP partnership. I'm actually excited about Christopher Robin. As always, I'm inspired by your words and how to apply them to my writing. I asked myself, how could I write faster? One answer is to build my vocabulary so the right word falls instantly fall into place. I'm seriously considering listening to old radio shows. They used words (and music) to get just the right effect. That's great you did so much writing over your break! Shady, I remember that case. Lee, not one I'll see in theaters but I'll also catch it on DVD. Writing faster is a great tip! And not very doable for me. :-) I think one book a year is a healthy clip. congrats on all of your writing. Excellent. And your movie snark comments were hilarious this time. My advice would be to stop worrying about what's cool, what's out there, etc and make sure you find your voice and truly commit to it. And write....that is a piece of advice I don't do enough of. Wow, 13,000 words on your new story. That was definitely a productive break! Congrats. Do you still need co-hosts for the rest of the year, Alex? If so I'd be happy to help. The only month I couldn't do is October. Just drop me a line if you need help and let me know what month. 13,000 words - way to go! This year's anthology theme sounds great - looking forward to reading the winning stories when it's released. Christopher Robin sounds like it could be a cute movie. Love your advice - and I need to take it :) #speedup! That's an intriguing theme for the anthology - I'll have to put on my thinking cap! It sounds like the break was advantageous to get some writing accomplished! Too bad none of the movies are thrilling me this week. July was a good month, and today my daughter is being induced with her first baby. The little thing is refusing to leave its sanctuary....LOL! Been praying for them, and can't wait to see if it's a boy or a girl!!! A book a year would be amazing. I'm not that fast, not by a long shot. I wouldn't mind seeing Slenderman with my horror-obsessed daughter. I need to get moving with a story for WEP! Wish I could speed up my writing. I do for work, so maybe I just need to change my perspective on my own writing. Glad you got writing accomplished on your break. Not sure if I can do WEP if I need to write faster. I have too many projects in the works already! Welcome back! Glad you hear you got some writing done. That's wonderful you wrote so much during your break. You're writing faster than me, right now. There's nothing wrong with slow writing if it results in a quality product. Find the pace that works for you! Glad your break was productive. Congrats on a very productive break! Very satisfying, I'm sure. 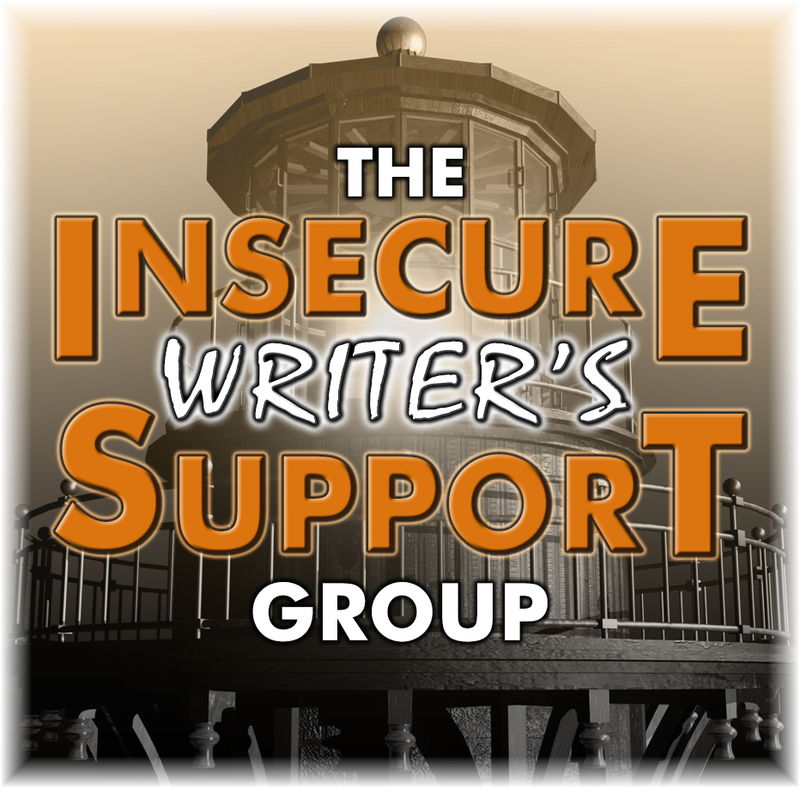 Loving the IWSG Anthology theme - Masquerade! Oh the possibilities! Is this Alex 'I'm done writing stories' Cavanaugh? 13,000 words is a lot! Good for you, sir! So much awesome IWSG news! The BOY and I finally saw Jurassic World! That was fun. Haven't seen the new Ant-Man yet, but maybe before the end of the summer. I want to see the Christopher Robin movie. The trailers have been so charming. Ouch. That puts me two months overdue for a new release. Can I get an extension? That Aquaman trailer was amazing. I can't wait to go watch. Joanne, I am here to amuse! Julie, thanks - I will. Cathrina, big day for you! Heather! Yes, I am still writing. Joey, we both can take one. I'm glad you took time off from blogging even though you did write!! !Writing to me is such a pleasure that I must write each day. Congrats on the 13000 words. WOW. Someone is going to regret that challenge. Maybe me. Probably you. Hi Alex! Glad you had a productive blogging break. Congrats on all your writing progress! That's always a great feeling. I'd love to be able to publish a book a year, but I don't think it will happen. If I get my next book done in two years I'll be happy. Christopher Robin looks like a cute movie. I was a Tigger fan as a kid. Aquaman looks good, too. Slender Man is too creepy for me. Happy August! 13,000 words is quite an accomplishment. Write faster: I like that. Mine would be write consistently. I do really well if I write every day, even if it's just a few words. When I miss a day, it's really hard for me to get back into the rhythm and I find that I get hyper-critical about my work. If I keep it in front of me, keep going forward, I don't have time to analyze all the negative thoughts that leap into my head. Slender Man sounds really creepy and cool but, like pretty much every horror movie, I won't see it. I think too much. I enjoy reading and writing horror but I just can't watch it! Hi Alex, I agree with your advice of writing faster. One book a year is good and more than one book is super. 13,000 words is way too good. I love the fact that you write in your break too. 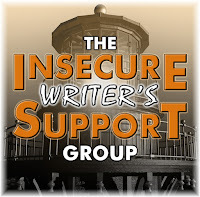 Love the theme of the IWSG Anthology. Congratulations on making so much progress on your WIP during your hiatus. I agree that one book a year sounds like an ideal target, but it's one I'm not every likely to achieve. Fuhgettabout those writers like Stuart Woods, who churns out three books a year. The dude must never sleep. 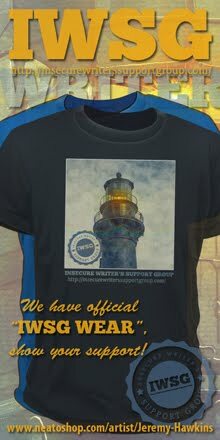 Congrats on the WEP link and the good stuff going on with the IWSG. Woo-hoo for the words!!! That's great. I would love to get to 1 book a year. I am a little behind already, but the year isn't over, so there's still hope. We have plans to see The Meg. My youngest is a lover of all things shark movies. Your productivity is much to be emmulated and admired! I need to step it up a bit. Slender Man. There was a horrific situation in Wisconsin a few years ago where a couple of 12-year old girls tried to murder a classmate in some kind of homage to Slender Man. Both of them are now in a long-term state psychiatric facility. The classmate recovered from her 19 stab wounds. On that creepy note, thanks for letting me co-host today! I have to say that I watched the Aquaman trailer to the end. It does look like one exciting movie. The WEP for August is going to even more exciting. Love the new badges. How exciting to hear about your writing progress, Alex! I am looking forward to reading your next story. Right now I'm about an hour and a half from the nearest movie theatre. I did manage to catch "Jurassic World" while in Laughlin, Nevada. I'm looking forward to reading "The Art of Memoir." I don't know where I will be in September and October, so I'm not sure if I will have a computer, let alone can write a submission. Good thing I'm learning to live with not knowing what I'm doing. Have a good one, and happy writing! So many writers are insecure that they don’t write fast enough. I don’t believe you have to write one book a year. Write to your own pace. Don’t stress about writing as fast as others. Masquerade is a fun theme. I'm a slow writer too. Maybe when I'm more experienced I'll speed up? Thanks for all the news, Alex, and have a great week! At the moment I only write reviews, but who knows what the future holds, so I love visiting blogs like yours. Lori, every other year is my speed as well. Jen, getting back into it after over a year was really tough! Susan, or he has clones. Lee, I remember that. Thanks for co-hosting! Fundy, thanks, and I never know what I am doing. Welcome back, Alex! July went by so quickly. One week until school starts here! Great theme for the anthology contest. Is it bad I laughed out loud at your Pooh joke?! Hehehe. I'm pouting this week because I'm catching up on Face Off, and I see it's the final season. So sad. Congrats on starting a new book and already having written 13,000 words. I think the quality of the writing (and the inspiration level) is more important than writing fast. Unless you have a lot of talent and can pull it off to write one or more books a year. That is incredible in my book! As always, I love your movie snarks. But, I won't be visiting movie theaters this summer. Nature has to offer its own, spectacular shows. What a productive break! Congratulations!!! Good for you in writing on vacation! That's usually when I accomplish the most as well. Glad you got some writing done on your hiatus. My children all read Meg sometime in their teens. They can't wait for that movie. I'm not sure I'd say write fast to other writers. With how the market is, there is a crunch to get stuff out fast, but we still need to take the time to hone our craft and make a good story. OMG, Aqua Man! Yeah, a book a year is about my pace. I hope to build speed as I progress in my career, but quality is far more important. Write faster? Or write something, lol. Oh, now I gotta see Aqua Man. thanks for the trailer. I had a great July...hope you did too. Now I have "Masquerade" from Phantom of the Opera stuck in my head. LOL! I must admit I really want to see The Meg. Looks like Slender Man is going to be a dud. There are a hundred internet vloggers who could have done it right, but nooooo. Well done on the additional 13,000 words. There are days when I can't believe how slowly the words trickle out onto the page. Sometimes, I read on Twitter folks posting that they wrote 6, 7, 10K words that day, and my eyes just about bug right out of my head. How?! How is that possible. I'm a happy camper at 1k words/day. Glad you're looking forward to the new Aquaman movie. I just watched Justice League and... well... I guess I'm more of a Marvel fan these days. In any case, happy August, and happy writing to you (even if it's slow). Christine, glad I could amuse you. And I know! I'm bummed we're at the end of Face Off forever. Liesbet, you travel to some beautiful places, so I don't blame you. Susan, it's actually a book? Did not know that. Kathy, I have no idea how that is possible. Thanks for dropping by, even before you came back to us all. You're appreciated. I'd warn others not to compare. For example, one book per year, and a stellar one at that, is ninja speed. It might likely take years to publish a book. My memoir took four. But it's all good, so long as you feel good about it and keep on keeping on. 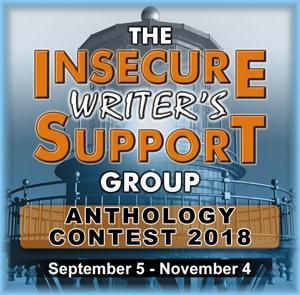 I'm excited for the new anthology contest. I'll start marinating ideas. There was a cool Aquaman presence at Comic Con this year. Looks like a fun jaunt to the movies. Congrats on the word count, Alex. Woot! Welcome back. We missed ya. Write faster? Yikes, I"m such a slow writer I don't think I could do it...well, maybe I can. This time around it didn't take as long as I thought it would to write a second book. Two years vs. four. Maybe next time I can cut it in half again. haha So glad you got some writing time in during your break and I'm glad you're back! Yep, had a good July!! Summer's ending so fast, isn't it? I have a question...just curious. How many tries did it take to get a publisher to say yes? I wrote a children's book awhile back when I was stressing to find a way to start over and pay these bills (unexpected divorce) and wrote a book (I was trying any way possible). I submitted to 10 publishers. I heard back from zero publishers until recently. Someone asked me to resubmit with a change. I did and they sent me a form letter saying, 'we're sorry your work isn't what we're looking for' or something like that... I didn't even remember I sent it out, it's been over a year. And then I got excited with the e-mail. And then no. hahahaha What an instant emotional rollercoaster!! Anyway, so looking forward to Aqua Man!! What a broad spectrum of movies--a sweet movie, Christopher Robin, all the way to the horrifying Slender Man. So many different audiences to please. Congrats on the 13,000 words. Not much of a rest and relaxation kind of break. I've read the Art of Memoir. So much helpful and inspiring information for memoir writers. Okay, I'd watch Aquaman just because Jason Momoa is in it. during my break, I did write! My, what a vacation, Alex, when others relax. Masquerade is a perfect theme for Young Adults. That should attract the expected responses. Change of heart should be useful for writers, yes! Robyn, at this rate my next book will take four or more years. Leslie, hope you submit something. Rosey, some people find a publisher after a dozen queries, some after a hundred. It's all about finding that one perfect fit. Bish, you and my wife! Hank, I made it a productive vacation. Slow writer? That's me. I'm in this FB group where people consistently write 50,000 words a month, every month.Hmm. Every month is NaNo to them. I've at least started setting deadlines which i manage to meet. Congrats on your word count in your break. Exciting this new partnership. Looking forward to seeing if you can write an entry for us. How about an extract from your new WIP? Can't wait to see what happens with this new anthology contest! Writing romance is hard for me. I didn't realize IWSG had been around since 2011. That's so amazing, Alex! My writing speed varies greatly. Sometimes I can churn the words out quickly, and others it feels like I can hardly get the words on the page. I wish I could write faster than I do. The theme for this year's anthology contest is a fun one! I love it! Welcome back, Alex! It sounds like you had a very productive break. The anthology contest should inspire a lot of entries. Welcome back! You have been missed. I am excited to hear you are writing and we may get another story. I look forward to Aquaman I saw previews recently at the theatre. I will make a point of seeing Mile22. Writing faster is a good tip. My pitfall was following the advice from my critique group who changed my story so much I don't recognize it any more, so I gave up. There is a tip: save every version. Don't just rewrite. Great theme for the anthology. OMG I loved the Aquaman Trailer. I can't wait. I love Jason Momoa. He was a fave character in StarGate Atlantis. I was tickled when he showed up in the Batman/Superman film. Now one of his own as the STAR, YEAH. You made my day. Yes I know he has been other things even a series called the Frontier on Netflix but I can't get into the storyline despite liking him. One book a year is awesome! Congrats on writing 13,000 words on your vacation. Thanks for the movie reviews. I always look forward to them. Slender Man sounds like a nightmare. Eeek! Can't wait for The Meg and Slender Man! The first looks like a lot of fun, and the second seems sinister as hell. Right now, I'm WISHING I could write faster! Happy August, Alex! Denise, I can't imagine writing that much! Not sure I've hit a change of heart moment yet in the manuscript. I'll see what I can do. LG, hope you have an entry. Juneta, he was awesome in Stargate Atlantis. I read a book called, Meg by Steve Alten quite a few years ago and omg it was such a great story. So I'm pretty excited about The Meg movie, I hope it's a good one. I love big shark movies. Slenderman... sounds good to me. I'm sure I'll be watching it at some point. I usually wait for movies to come out On Demand and watch them at home since I don't like going to the theatre. Can't wait to see Aquaman. I figured as much. I was just curious since that response came in so long after the fact. Thanks for your reply. I was aiming for a book every two years and failed miserably. You're right though. This is an era that changes those old concepts. Thanks for the movie reviews. Congrats on 13k. Ha! Good Thinner joke, Alex. :) I'm watching my way through Marble Hornets right now, which is much lower budget than this Slender Man movie, but also much more intriguing. It's unfortunate that the trailers make the movie look like it turns Slender Man into a generic gimmick. Mary, even if it's cheesy, it will be fun. John, I'm here to amuse! Lots going on in the community! Great to see so many things to get involved with. Can I just confess I really want to see MEG?? lol and of course, Aquaman looks amazing. I'll see if I can come up with something for the anthology. Sounds fun! One book a year is a good challenge. I've done it 6 of last 8 years. I think it not only helps you develop as a writer, but also lets your readers know there is always more coming. Write faster? I think you write plenty fast. It reminds me of a joke: What did the snail say on the back of the tortoise? "Wheeeee!" In this case I'm the snail. I didn't know I could reveal genre yet, but I'll edit my post late and add something next week, too. Definitely want to see those movies. Congrats on your word count! Of course there is the simpler option, Remember Klingon Worf from Star Trek TNG? His solution was unique. When one does not have the words.... say nothing but I jest of course... so set your phasers on stun and may luck favour trekkers far and wide. I'm not sure that my scrambled nerves can handle writing faster, but I will try. Planning something for The August WEP Challenge – A Change of Heart. And I loved the Aquaman comics so intrigued about the movie. Congrats on your word count for your new story! Can't wait to see Aquaman. You know what I find funny? There's a Teen Titans Go movie yet I haven't heard anything about a possible Teen Titans movie. Especially now that Justice League already came out and a sequel is supposed to follow. Thanks for the info about the anthology -- perhaps it's exactly what I need to write right now to get back to writing. Can't wait to see Aquaman, used to read him in my adolescent days, and I can't wait to see Christopher Robin either! I have loved Pooh and Piglet since childhood. So much info to take in, as usual. Thanks for coming by my blog. I know you are a busy man! Enjoyed the Aquaman trailer! Guess that goes on the list of 'to sees'. To write a book a year sounds like an insurmountable task for my writing snail, but I know it's a good goal. Welcome back Alex! You've been missed! Congrats on writing so much, on your time off! Excited to hear more about your new story! Slender Man? Never heard of it! Sounds scary! Like your Pooh joke for Christopher Robin! LOL! I think it would be a lot easier to write faster if I didn't have a full-time job! I keep telling myself someday I won't have to work so much and I'll be able to concentrate on writing. Great question this month, I've read a ton of really good advice on many different blogs now. Thanks for hosting! Aquaman has potential so we'll see where this goes. I have no idea what to think of Christopher Robin but we are set to see it in the next week or so. Welcome back and congrats on a productive break! Excited for the WEP+IWSG partnership. The antho contest sounds like another great read is on its way. Want to make an anthology for five-year-old kids? ;P I could enter that one! Oh, well, I guess I'll just have to keep loving READING the great IWSG submissions. Good going with the 13k words! Ooooooo! Great theme for the new anthology. I'm a slow writer. I hope I will get faster as I progress, but for now, it's still a snail's pace. BG, I really want to The Meg! Spacer Guy, I will remember that. Lidy, that movie is trash. They are making a television show called Titans though. Melanie, thanks for joining us. Jen, we might do a kid's book one day. 70 feet... that's it? Don't we have 70-foot sharks for breakfast, Ninja? I still haven't seen Jurassic World, can't come up with a reason why either. The new challenge sounds interesting, but this one I may sit out. So many talented YA writers out there though, I've no doubt your submissions will be overflowing! Those are some exciting announcements this month! I love the anthology contest theme, I hope my writing brain can come up with something. Also, great to hear IWSG is joining up with WEP. I enjoyed it when I participated in February. Yay for 13,000 new words! I agree about the write fast -- or at least write often. If I take a break of even a few days, I feel more sluggish when I start back up again. Congrats on 13K Words! Wish that I was that productive. I've been easily distracted lately. Gah! I just had to drop by and give you my update... I'll be more present now that things are settling. Ah... advice to a new writer.... HANG IN THERE! It's a tough road, but with perseverance you will eventually get where you need to go. Haven't even had time to know what movies are coming out. I would like to go to see something within the next few weeks. There's so much advice I would give, but mostly, not to listen to authors' advice, as everyone is different. Even the seemingly innocent advice, like "writers write" or "write every day" has caused anguish. Everyone needs to follow their own path. I have no idea how some writers manage to put out twelve or more books per year. I'm a decently fast writer, but the output of successful indies blows my mind. Not sure how they do it.